Are you a fan of Rainbow-Riches? Most online gamers are, if you aren’t familiar with the slot then it’s likely that you are new to the scene, and wish to experience some of the most enthralling slot games. 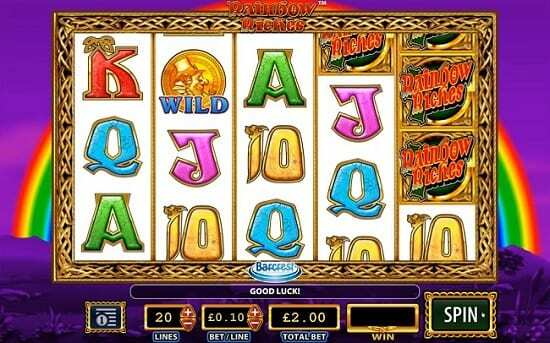 Thankfully, the game is available on most casino platforms, due to high demand, whether you are a seasoned player or a new customer, there’s a good chance that you have played this Irish-themed slot. 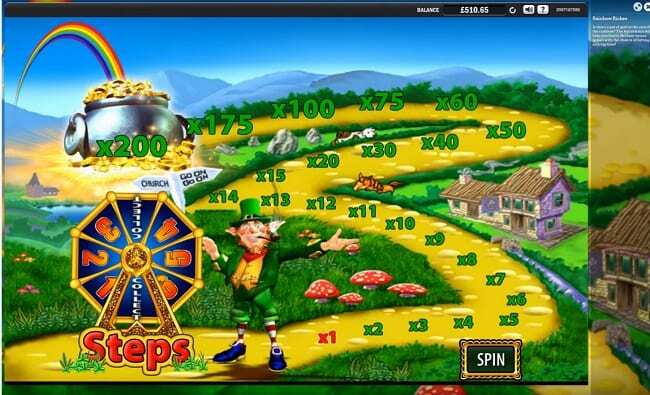 Delve into a world of leprechauns, wishing wells and a search for gold as you enjoy this exciting slot game that is one of the most popular in the UK and other regions in the world. In this article, we reveal some of the greatest facets offered by the particular game, as well as analysing the RTP and other statistics. Return to Player (RTP) is a win percentage- it lets you know how frequently the game returns a win to the player. It is an important statistic for obvious reasons and is one that should not be overlooked- the industry average falls at around 95-96% and anything significantly lower shouldn’t be considered as one of your favourite games. 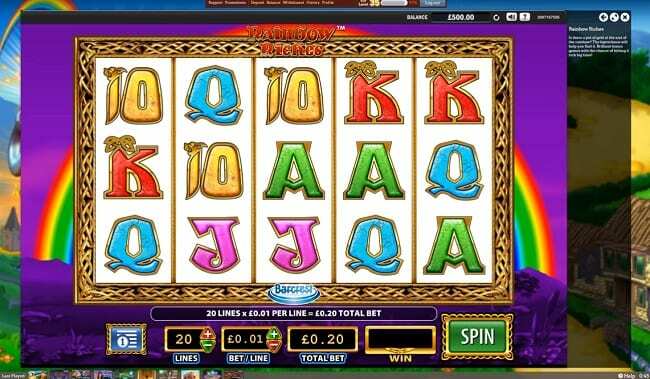 Rainbow Riches Slot RTP is 95%, a percentage that falls slightly below the 96% that we often hope for, but generally the most accessible, exciting and easy to use slots do drop just under that amount. It is not a noticeable amount and therefore we still recommend enjoying the colours of the rainbow in this instance. Despite the game being just under the average we come to expect, we think the RTP is fair and worth enjoying, plus when the difference is so little, we prefer to look at the volatility of the game. For this game it is medium and this means that you won’t be thrown too many curve balls. You’ll directly feel the volatility as it impacts the gameplay; medium variance means that there will be medium fluctuations. You have the opportunity to win some good amounts and you can also enjoy the gameplay without worrying about too many win-droughts. If you are looking for an exciting game that comes packed with features and plenty of ways to win, then you should take a look at Rainbow-Riches and all that it has to offer. It’s one of the most colourful slot games available in casino catalogues and provides plenty of engaging features. There is a reason that this game is one of the most sought after and that’s because it is easy to play and understand; yet there are numerous ways to win. If you are searching for ways to enjoy free-spins, then you should take a look at some of the available promotions. Our team of experts work tirelessly reviewing casino sites, finding promotions for customers and also picking out safe, secure sites. In our time, we have came across a multitude of promotions offering bonuses, and guess what? There are a number of remarkable promotions available for Rainbow-Riches. You can gain Rainbow Riches free spins RTP by signing up for a new casino site or one you are not yet a member of, this will then enable you to activate an offer of some kind. Offers vary from money-back, to no deposit bonuses to free-spins. Welcome promotions are abundant, with casinos competing against one another to attract new customers- essentially this then allows us to get our hands on some generous bonuses. If you are looking for free spins for rainbow-riches on mobile, then be sure to take a look at the latest welcome offers, we have provided them on our site and made it easy for you to find the best deals, all you need to do is register and enjoy. The Return to Player Rainbow Riches is 95% and with its medium variance, we encourage customers to not let the percentage put them off. This game is a fan-favourite for a reason. Lets talk a little about the game itself and some of its enthralling features. It comes packed with action, not only offering wild symbols and many ways to win, but also offering different types of bonus features. The bonus features include the road to riches, pot of gold and wishing wells. When you get three wishing wells, you will be able to pick one and reveal your winnings. Ultimately though, we are searching for our riches and the only way to get our hands on them is by reaching the end of the rainbow, this means we need to unlock the road to riches theme. You can do this by landing three symbols, you will then enter the road to riches and each throw of the dice could edge you closer to a big win.